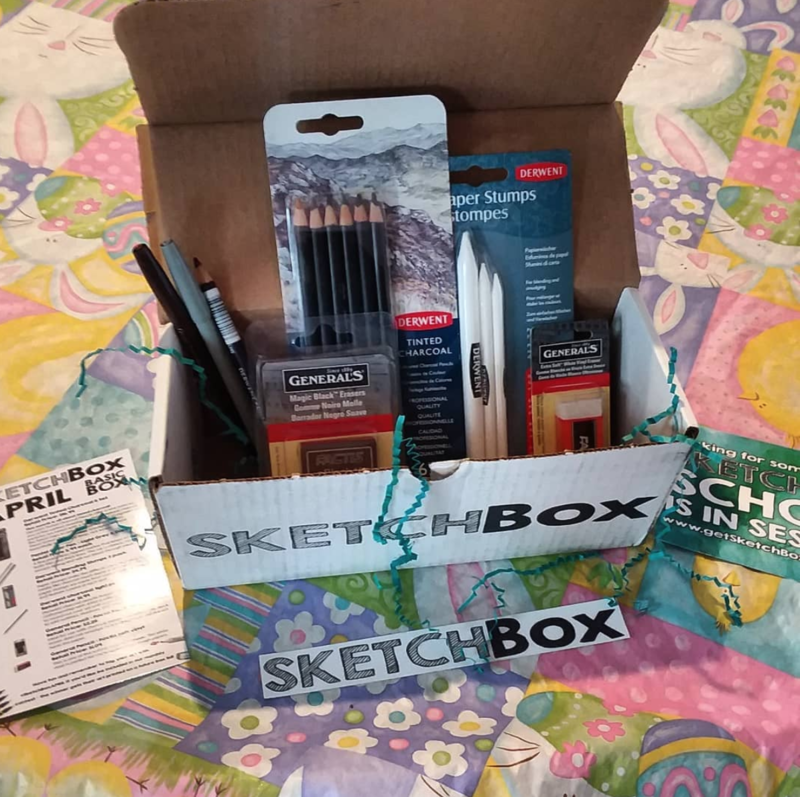 Our April boxes focused on a truly unique medium - tinted charcoal! Derwent Tinted Charcoal Pencils offer a new twist on one of the earliest drawing mediums. Natural charcoal particles are mixed with a small amount of pigment and the finest clays to extend creative possibilities. These tinted charcoal colors smudge and blend beautifully to produce deep, rich tones. We also included a Pentel Color Pen in light gray and dark brown. A fine point fiber-tipped marker that keeps its shape for both thin and thick lines. The ink is vibrant, non-toxic, instant drying and will not bleed through paper. Next up we included a blending stump set from Derwent. Paper stumps make the difficult job of blending dusty media like charcoal much easier and cleaner. These paper stumps are made from compressed rice paper and feature a point at each end. To round out your new Charcoal set we also included a Derwent charcoal pencil. These pencils feature high quality craftsmanship with artist quality charcoal. We wanted to add to your set a versatile light black color to add outlines, shadows, and detail to your new piece. Next we included 2 Factis Black Magic erasers from General Pencil. They're ideal for use with charcoal, pastels and more. This black eraser does not smudge, cuts a clean edge and doesn’t harm the paper. Finally we included a Factis soft vinyl eraser. This is one of the softest art erasers made. The white vinyl is perfect for charcoal and loves rough papers. This picture was taken by our subscriber @ tiffanycolors79 on instagram!